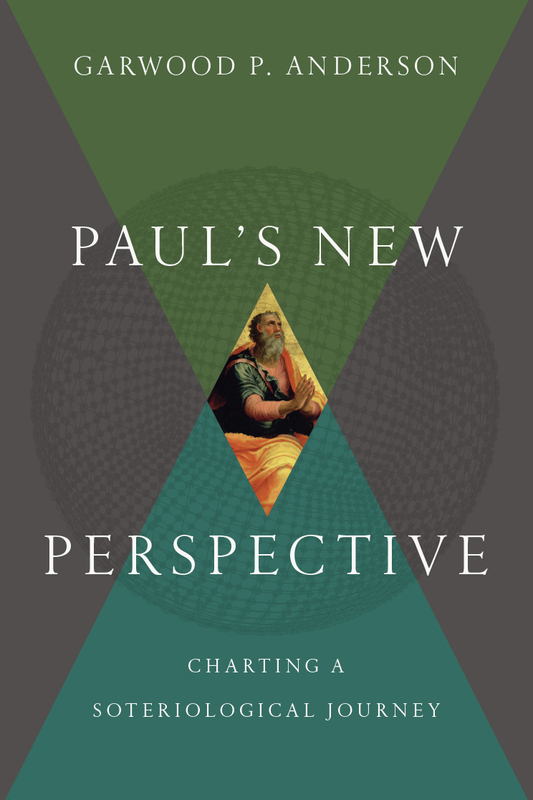 Anderson, Garwood P. Paul’s New Perspective: Charting a Soteriological Journey. Downers Grove, Ill: InterVarsity Academic, 2016, pp. 439, $45, hardback. Garwood Anderson, professor of New Testament and Greek at Nashotah House Theological Seminary, makes a strong case for what other scholars have suspected—namely, that Paul’s own perspective on salvation expanded as evidenced by differences between his earlier and later letters. This is why the so-called “new perspective on Paul,” championed by E. P. Sanders, James D. G. Dunn, and N. T. Wright, makes good sense of Galatians, but the old Lutheran reading still has explanatory power for Romans and Philippians (pp. 12-13). “The argument of this book insists that both ‘camps’ are right, but not all the time” (p. 5). 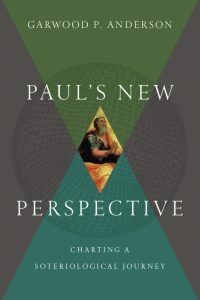 The clever title, Paul’s New Perspective, refers to the so-called old perspective on Paul that comes late in his writing. But Anderson suggests that the motif and mystery of union with Christ is large enough to encompass the development. Chapters four and five place Paul’s letters in chronological order. Anderson opts for the early dating and southern hypothesis for Galatians. Then follow the letters to the Thessalonians, Corinthians, Romans, and Philippians. He accepts Philemon, Ephesians, Colossians, and the Pastorals as Pauline, although they are more difficult to place in Paul’s ministry (especially as related in Acts). The thirteen letters of the Pauline corpus were dispatched over a fifteen year (or so) process. This would allow space for Paul to develop (refine, unpack) his understanding of the gospel. Chapters six through eight are exegetical. The New Perspective on Paul helpfully contextualized Paul’s language “works of the law” in Galatians (2:16; 3:2, 5, 10) to refer to boundary markers separating Jews and Gentiles like circumcision and the festal (Sabbath) calendar. The Galatians were not trying to earn their way to heaven, but to be found acceptable by influential, Jewish teachers. However, this background is too narrow for “works” at Ephesians 2:9. Already in the expansive argument of Romans we see a universalizing of the problem of approaching salvation as a wage (4:4-5). Participation in Christ is a “red thread,” but we see a developing interest for even cosmic reconciliation (Rom 8:18-30; Col 1:15-20). I recommend the same chronological order to my students and am sympathetic to his conclusions, especially his emphasis on union with Christ and the need for interpersonal and cosmic reconciliation, which the church and the rest of creation are groaning after. Justification is part of Paul’s toolkit for constructing his soteriological vision, but it is not the center. My esteemed professor Ralph P. Martin (1925 – 2013) insisted reconciliation was a better core. For those who hold a high view of Scripture, there may be value in considering development in Paul’s thought. In his earlier letters, the apostle focuses on the imminent return of Christ: “we who are alive, who are left, will be caught up together” with those who died but Jesus resurrected (1 Thess 4:17 ESV, emphasis added). But in his later correspondences, Paul looks forward to departing, a euphemism for death, and being with Christ (Phil 1:23). Presumably, in light of his imminent martyrdom, the apostle was resolved that Christ might come after his generation. In 1 Corinthians, Paul counsels against remarriage for the widowed (7:26-27). However, in 1 Timothy he recommends the opposite: “I would have younger widows marry . . .” (5:14 ESV). Apparently, there were too many widows being financially supported by the church in Ephesus, and so the list had to be shortened. These, I suggest, are not contradictions, but reflect the shifting circumstances of Paul’s life and ministry. Anderson, I believe, is partially correct when he insists that Paul’s letters are “contextually determined” (p. 6). But we should note a Protestant bias here. The Christian tradition has viewed God as the ultimate author of Scripture. There is value in attempting to retrieve the intent of the human author, but we should recognize the challenge. Did Paul’s thought develop, or did the rhetorical situation shift from having to defend himself against Pharisees in his earlier letters (see Acts 15:5), who were preoccupied with boundary markers, to the more universal problem of hubris in his Greco-Roman social world? Is human reasoning the primary variable, or is Paul’s spirit ultimately sounding off the mind of Christ? The idea of development in Paul’s letters is a very old debate. I doubt Paul’s New Perspective will settle the matter, but I hope it becomes a significant conversation partner. It would serve well in a master’s level course on Pauline soteriology.